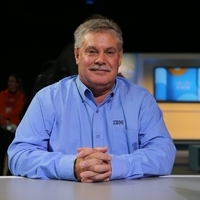 Eric’s responsibilities include worldwide product marketing and management for IBM's award-winning storage & software defined infrastructure solutions, and responsibility for global storage channels. Herzog has over 32 years of product management, marketing, business development, alliances, sales, and channels experience in both Fortune 500 and start-up storage companies. Prior to joining IBM, Herzog was CMO & SVP of Alliances for Violin Memory. Herzog was also SVP of Product Management & Product Marketing for EMC’s Enterprise & Mid-range Systems Division. Before joining EMC, he held senior positions at Tarmin Technologies, IBM's Storage Technology Division, Maxtor, Asempra, ArioData Networks, Topio, Zambeel, and Streamlogic.